You could just dream the dream that Princesses do to be able to ride on the back of a beautiful and stunning unicorn. Or you could just skip that part and keep your feet cozy in these Light-Up Unicorn Slippers. These slippers are not just attractive looking, they are probably the most comfortable ones you will ever slip your feet into. That’s because on the inside of each they are soft with a cushy bottom to keep your feet warm and feeling just right. 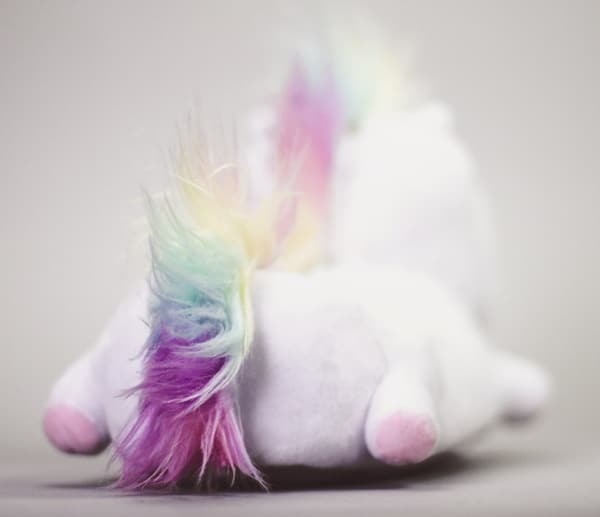 Each of these Magical Unicorn Slippers has a gold foil horn, rainbow coloured manes and tails. 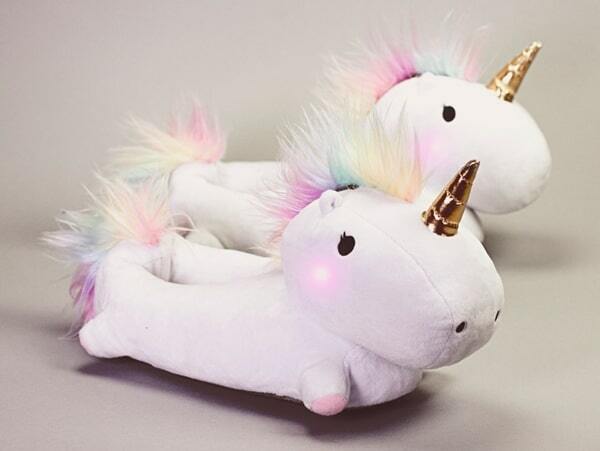 But what sets these apart from any other slippers you may own is that there are LED lights that are positioned in the cheeks of each unicorn. When activated, the lights will cycle through all the colours of the rainbow. To turn them on or off, all you have to do is access a switch that is hidden under each mane with a zipper opening. The battery also goes in the same location. 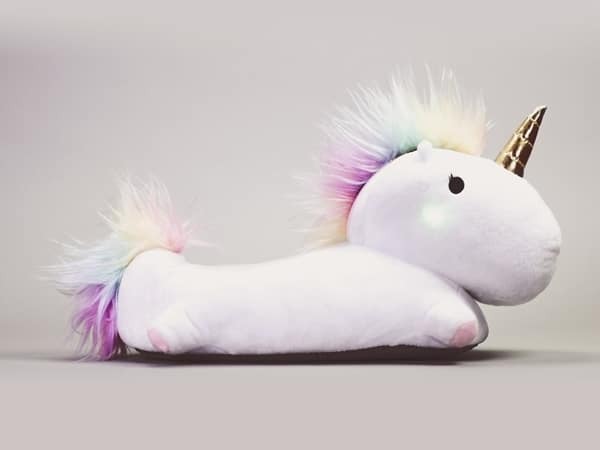 As magical as these light-up slippers in the shape of unicorns are, they provide practical use as well and will fit up to a US women’s size 12 or a US men’s size 10. They are made from 100-percent polyester for durability and for easy cleaning. In fact, all you need is a damp cloth to wipe away any dirt or marks. 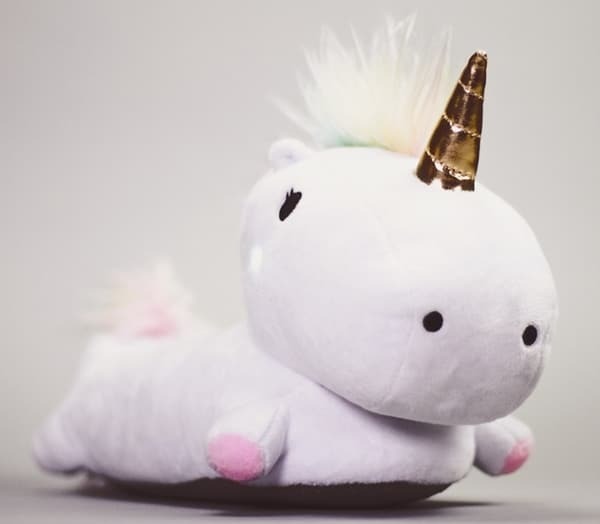 The slippers come equipped with 4 button cell batteries (2 per) and will treat your feet to the mystical wonders that accompany any and all unicorns!